Discussion in 'Lobby' started by Deadstr0ke, Feb 8, 2019. 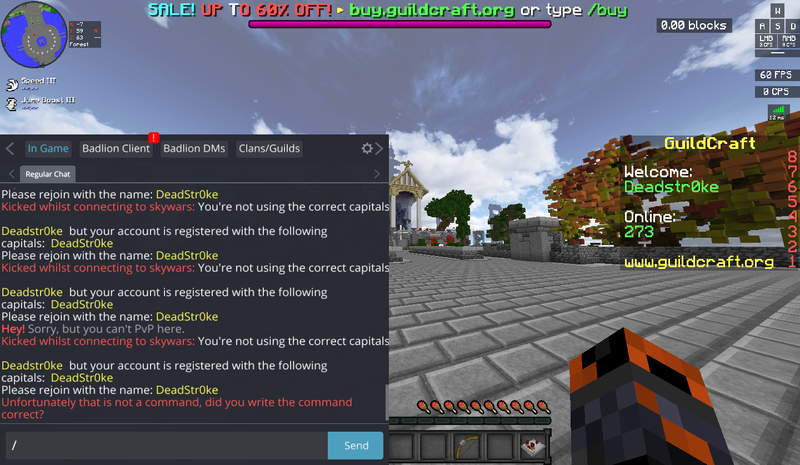 You have connected to GC using Deadstr0ke, however it is case sensitive and you need to reconnect with DeadStr0ke. It says you had on your name history, if you change your IGN, there is no such thing as your data staying for cracked servers except if someone transfers your data. Probably you had register with the IGN "DeadStr0ke". Have you ever played here before? If not, someone else has stolen your name here.